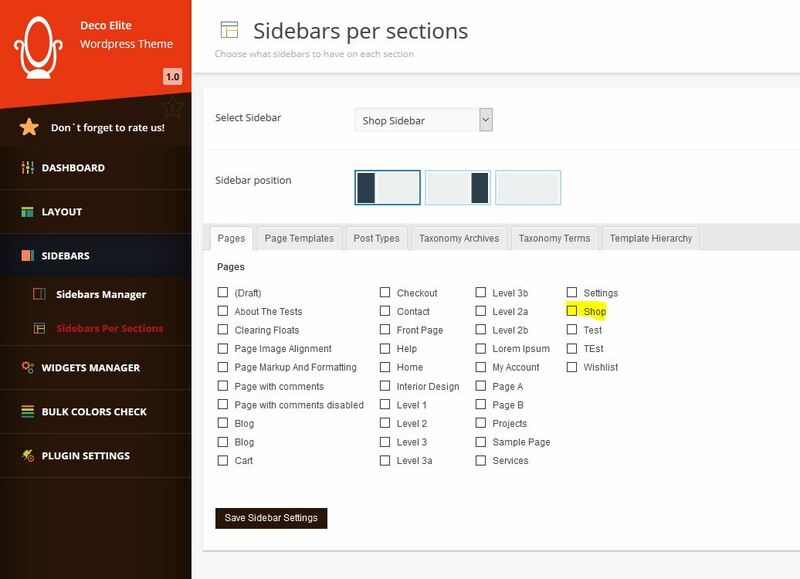 Here you can create a new sidebar. 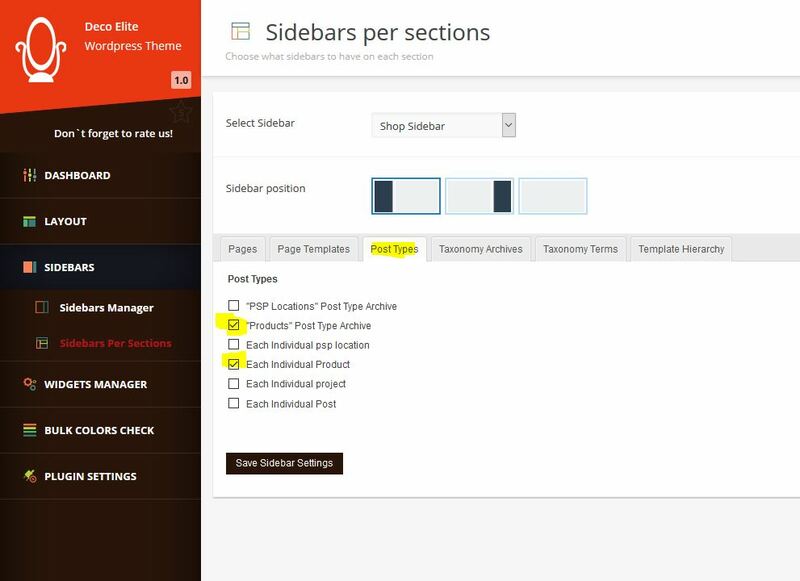 On the upper right part of the screen, you have to click on the button “Add new sidebar”. 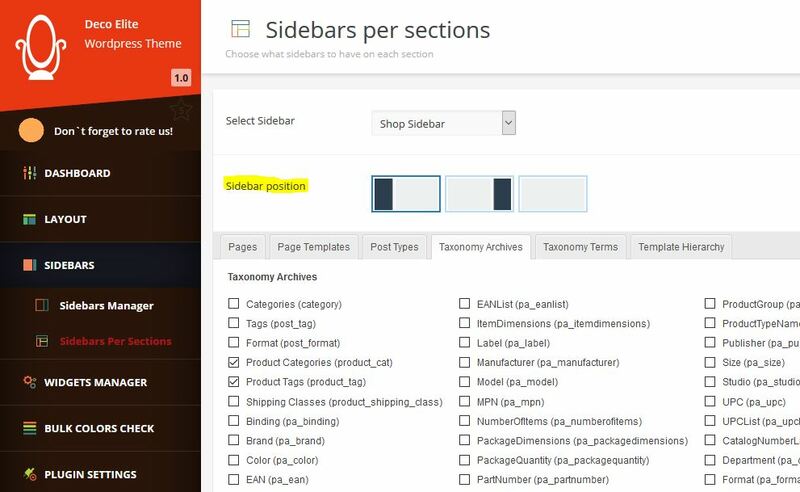 Make sure to click on “Save sidebar” after adding the new one, in order to make sure that the sidebar will be saved. We called the Shop sidebar “Shop sidebar”, here. 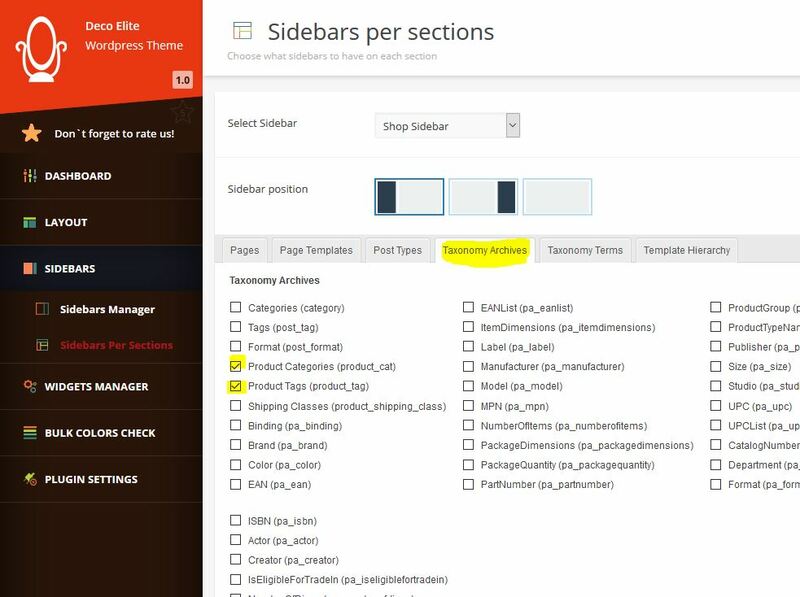 Now go to Sidebars -> Sidebars Per Sections and select the “Shop Sidebar” that we’ve previously created. You have the possibility to select its position. Just click on 1 of the 3 possibilities. 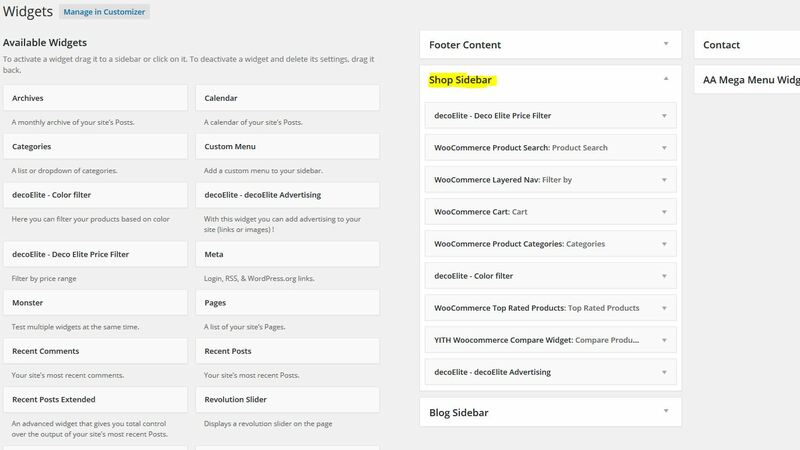 You have the possibility to make it appear on Pages, like on the Shop page. Or on Post Types. Here we made it appear on “Products” Post Type Archive and Each Individual Product. 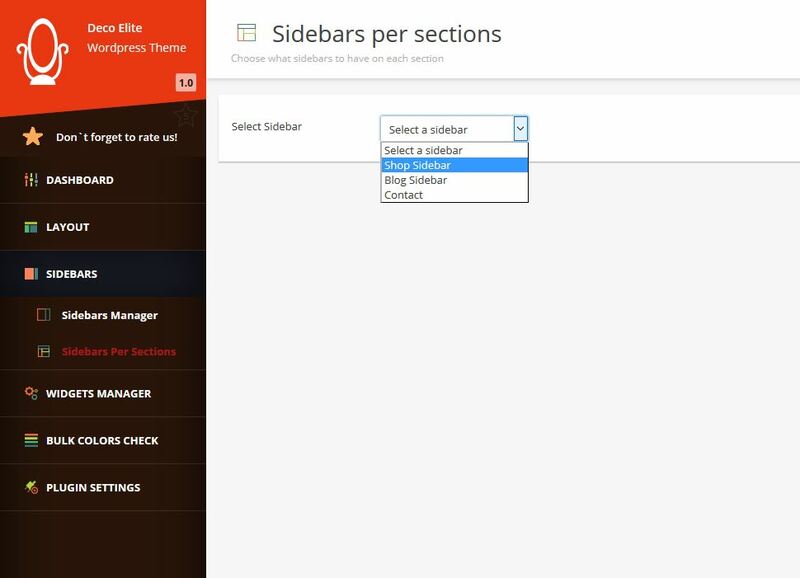 Again, make sure to click on “Save sidebar settings“, in order to make sure that the settings will be saved. 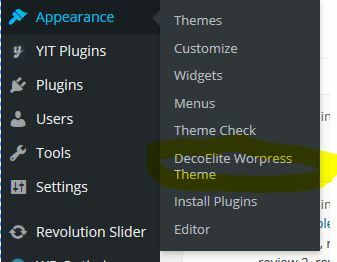 After doing this, you may go to the Widgets area ( Appearance -> Widgets ) and start adding widgets into the sidebar. Just drag and drop them into the Shop sidebar that we’ve just created. That’s all! You have now learned how to set up the Shop sidebar.